This card was made for one of the Cardologists, a generous and kind lady, as well as a good friend. Her father-in-law passed away and I know she misses him. I used Recollections cream and white patterned paper that another generous lady / Cardologist gave me. A bit of SU lace ribbon from the new catalog was the only embellishment. 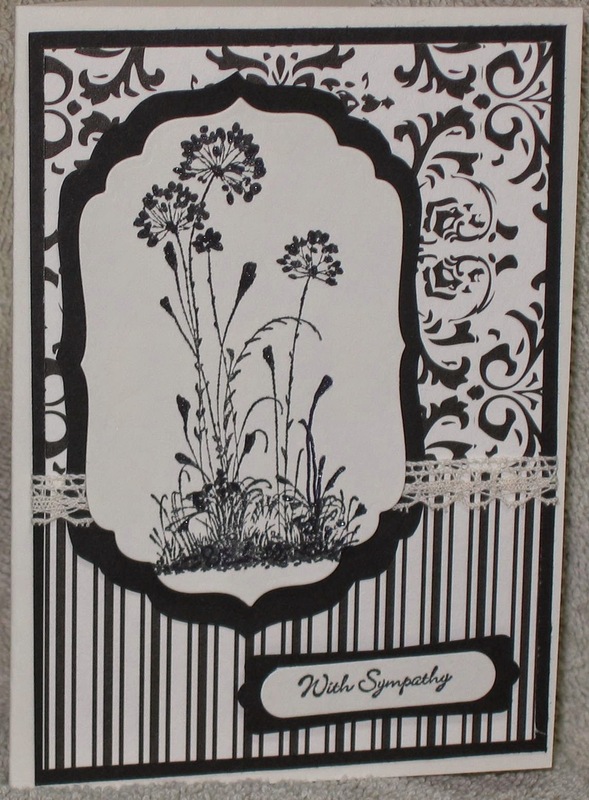 Dies by Spellbinder, punches and stamps by Stampin Up.